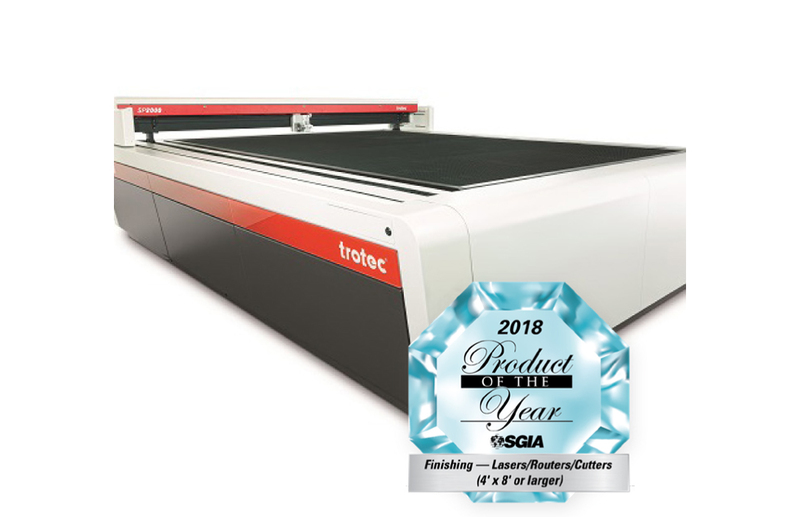 Trotec Laser is proud to announce that its SP2000 laser cutter for large format materials has received the Specialty Graphic Imaging Association’s (SGIA) Product of the Year Award in the Lasers-Routers-Cutters 4-by-8-foot or larger category. More than 100 companies competed in the 2018 Product of the Year competition, submitting 255 entries in the 74 categories—the largest field of competitors in the award’s program’s history. All entries will be on display in the Golden Image Gallery at the 2018 SGIA Expo (Las Vegas, October 18-20). 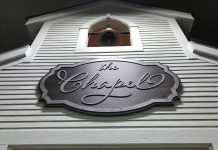 Product of the Year awards and entries will be on display at the 2018 SGIA Expo. The SP2000 combines a robust, ergonomic, and low-maintenance system design with high-speed, high power precision processing capabilities in the largest safety class 2 laser cutter on the market. The system was designed for efficient processing of large-format materials such as acrylics, wood, textiles and cardboard, to name a few. With a working area of 66-by-98 inches and access from all four sides, the system offers a generous working area with an ergonomic design. 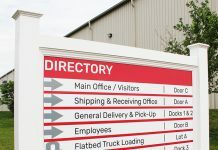 In addition to easy access from all four sides, the SP2000 features a seventy-one-inch-wide loading area at the front and the rear of the machine, allowing for unrestricted unloading and loading even while the machine is cutting. The setup will also drive productivity with processing speeds up to 6.5 feet per second and laser power up to 400 watts. The fully enclosed beam path and additional safety features make the SP2000 a class 2 laser solution, eliminating the need for special safety measures. “We’re thrilled to be awarded with the SGIA Product of the Year Award,” said Warren Knipple, president of Trotec Laser, Inc. “It’s a great honor to be acknowledged by an influential and progressive industry association such as SGIA. The coveted Product of the Year jewels will be presented in a special ceremony on Wednesday, October 17, in conjunction with the 2018 SGIA Expo. Exhibitors will be able to display the jewels in their booths.